World No 1s Kento Momota and Tai Tzu Ying proved to be fallible, Chen Long broke his title hoodoo, Indians fizzled out after spirited displays — here are our five takeaways from the French Open 2018. The way Ashwini Ponnappa refused to be bogged down by the occasion and the opponent's higher rank during the mixed team event at the Commonwealth Games 2018 indicated that she had now taken the role of a mentor on the court. 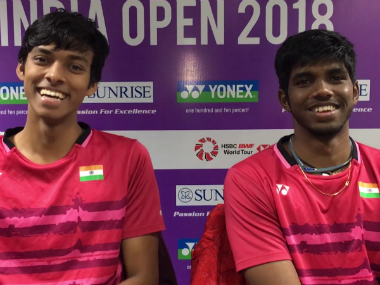 World No 8 men's doubles pair Ivan Sozonov and Vladimir Ivanov talk about winning the All England Open, association with India and about badminton in Russia.